Editors' Choice, Top Pick and Best Buy awards given for the Women's Mountain Bike Shorts Review. CHEYENNE, Wyo. - June 29, 2017 - PRLog -- The popular and pragmatic gear review website, OutdoorGearLab, has just released results for the top women's mountain bike shorts of 2017. Nine preeminent products were chosen for the chance to win one of the coveted award titles: Editors' Choice, Best Buy, and Top Pick. Knowledgeable testers pedaled many miles on single track rollers, enduro style tracks, and spin class cycling machines, paying close attention to aspects such as breathability and mobility. The testing team even created a loop that included technical terrain, smooth single track, jumps, berms, and massive puddles, which served as a measuring stick of sorts. After bike-loads of fun, and hard work of course, the contenders were measured across categories including fit and comfort, pedal friendliness, protection, pockets, and style. The Pearl Izumi Elevate earned the Editors' Choice award for their balance of clean style and unparalleled functionality. Features like the lightweight rear panel and the gusset provide breathability while the leg openings are the perfect width to accommodate bulky knee pads. Construction details such as the internal Velcro closures on the waist and the five indiscernible pockets are subtle attributes that make a big difference in the usability factor. Testers felt like cycling ninjas due to the four-way stretch fabric which allows free movement in all directions. 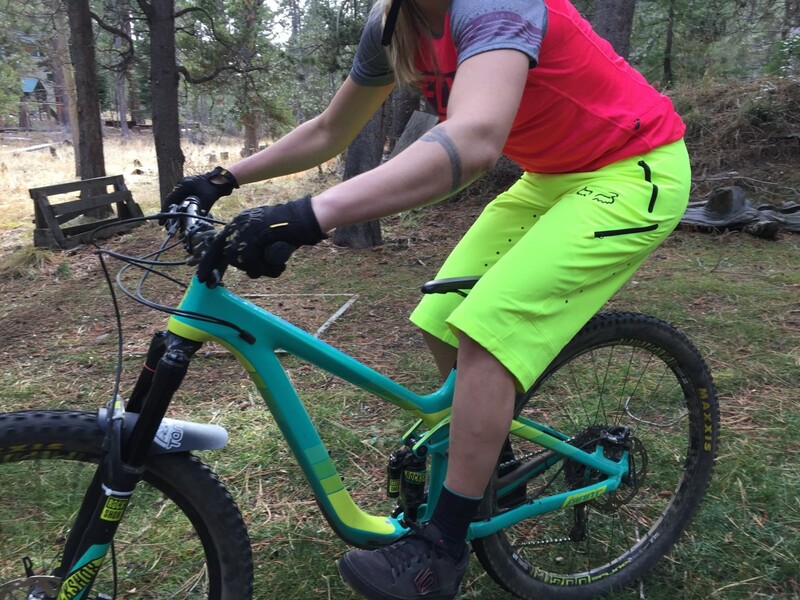 The overall consensus: "We would take these shorts anywhere the bike wants to roll." The Venturas are both practical and affordable, which is why they reign as the Best Bang for your Buck. They feature an internal button tab waist for easy adjustability, a NoCrackBack™ waist that prevents gaps, and two deep zippered front pockets. As far as durability goes, testers found that, "The burly, ripstop polyester held up nicely against granite slides and tree branch grabs, earning it an 8 out of 10 in protection." The materials are not only breathable and wicking, they are also aesthetically stylish enough to wear around town after hitting the single track all day. The Top Pick for style is awarded to items that transition from trail to town in style, which is how the Norrie won their title. These contenders have an impeccable attention to detail and hold up through the jump line to boot. They feature flattering ruching on the leg, a flared hemline to accommodate knee-pads and internal glide patches which prevent bunching at the waist. Testers noted that "This short has a slimmer fit, so if you're crushing Strava QOMs and you've got legs to prove it, we recommend sizing up." OutdoorGearLab, LLC strives to offer the most high quality gear comparison reviews possible in their mission to aid outdoor enthusiasts in their gear purchasing choices. The site publishes side-by-side comparative charts which break down products based on specific measures. Skilled reviewers devise rigorous, creative methods to test products over these measures and then award top performers accordingly. Categories cover a range of activities such as hiking, climbing, backpacking, cycling, and running. Check out outdoorgearlab.com to explore this resource.